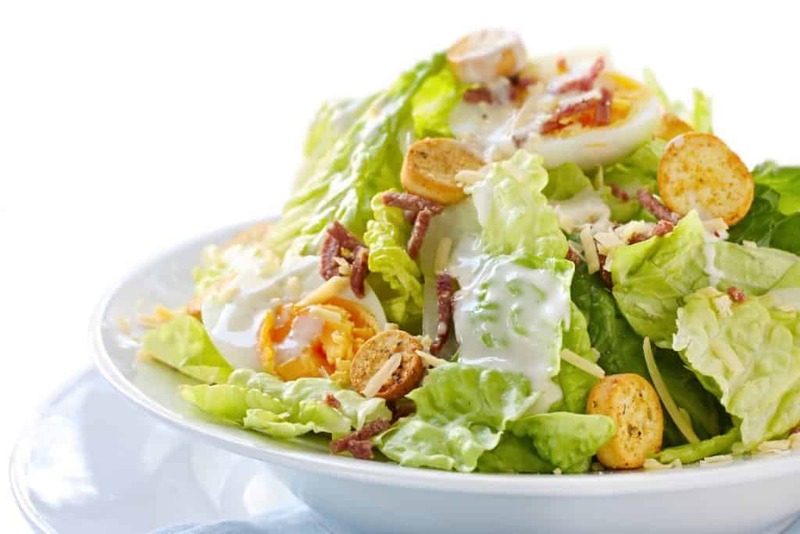 A Caesar salad of lettuce, croutons and cheese can be deceptively unhealthy, depending on how much fat is in the mayonnaise dressing going on top. Dollops of this popular condiment can contain up to 75% fat. Is it possible to produce a healthier yet still tasty mayonnaise? Researchers affiliated to the Centre of Excellence in Food Security (CoE), have replaced some of the oil in a mayonnaise formulation with a teff and maize starch paste. Teff, a grain originating from Ethiopia, is often used in flatbreads. “The low-calorie sauce has the familiar tang of mayonnaise; smears like the classic version, but contains only 20% of the oil,” says Professor Naushad Emmambux – Principal Investigator of the Innovation programme at the CoE. However, the research is about much more than the development of mayonnaise for the health-conscious. “We want to develop low GI foods that are less energy-dense, that are cost-effective to produce by small and medium enterprises, and can help fight malnutrition and diet-related non-communicable diseases such as type 2 diabetes and obesity,” explains Professor Emmambux, who is based at the University of Pretoria’s (UP’s) Department of Consumer and Food Science. Together with his colleague Professor Gyebi Duodu and PhD students, Emmambux is also exploring ideas that can help reduce diet-related non-communicable diseases (obesity and diabetes, cardiovascular diseases) and child malnutrition, through creating safe, nutritious and affordable food; that also tastes just as good. The team also seeks to utilise innovation and technology to improve livelihoods for small, medium and micro enterprises (SMME’s) through enterprise development. To this end, the team has developed processing methods such as extrusion cooking or microwave technology to produce healthy, affordable and convenient foods. In one project, an agricultural engineer is designing a small-scale solar dryer to dry out moringa leaves and sweet potatoes. A hybrid heat processing equipment with infrared and microwave has been built for energy-efficiency. The hybrid oven can be used to produce a quick cooking samp for example. The team is also investigating climate-smart indigenous African agricultural crops such as cowpea, sorghum and Bambara, to find out if products made from them could help curb food insecurity. According to Professor Duodu, “most of these legumes and cereals are naturally loaded with nutrients and biologically active compounds called phytochemicals.” Plant-based phenols and phytochemicals have the potential to fight cancer and inflammation, he adds. Investigations into starchy foodstuffs such as maize are also high on the agenda because such calorie-rich products form the bulk of many African diets. Professor Emmambux and his team hope to one day have convenient and nutrient rich snacks and porridge in stores. However, Emmambux notes that their focus is on developing healthy concepts backed by science. “We hope to produce so-called SMART foods with extra health benefits that are safe, marketable, affordable, ready to eat and trendsetting,” says Emmambux. To date, the team has developed sorghum porridge with a high antioxidant content, double cream yogurt with half the fat, and nutrient-rich baby foods. Production needs to be stepped up and market surveys done to gauge consumers’ preferences. Then it’s up to the market and product developers to get these food inspirations onto consumers’ plates.